offered by our diving centre. 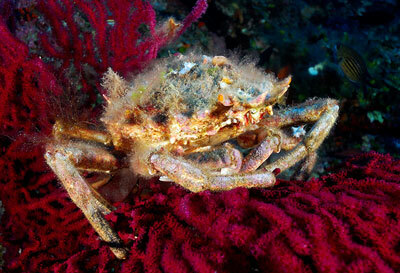 Come with us to discover the depths off the Island of Elba. For more than twenty years the Talas Diving Center has been offering clients the opportunity to dive in safety and enjoy the most interesting diving spots around the island. 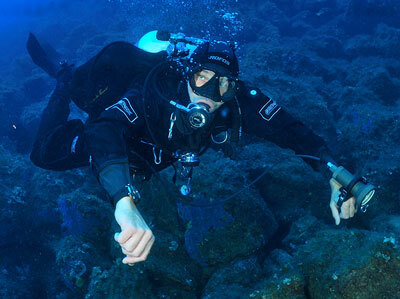 Diving Elba like you’d never known it could be. Elba, with its coastline of over 140km and more than 40 diving spots, offers a unique spectacle, full of life and colour. Talas Diving Center is situated within easy reach the most beautiful spots on the south coast of the island of Elba, between Gulf of Marina di Campo and Porto Azzurro. We’ll take you for morning dives, leaving at 8 / 8.30 am from the beach of Lido di Capoliveri, to spots where we can moor out of the wind and the waves. After the pre-dive briefing we’ll get going! During the break on board you’ll find hot tea and “bruschetta” toast to give you some refreshment between dives. At about 11:30 it’ll be time to dive in again. Those wishing to stay on board and enjoy the summer sun can take advantage of the spacious sundeck on the bow of our comfortable motor boat May-Be. After the second dive, lunch is served on board during our return to Lido di Capoliveri beach. See the map with the most interesting dives below.